SXSW lived up to my expectations. Sure, it took time to figure out the best strategies for getting around the convention venues, for getting in to the most interesting sessions, and most of all, for avoiding lines (it felt like the former Soviet Union at times). But I learned a great deal about trends in technology and beyond, met some cool people, and was even able to pick up and share some relevant industry developments with clients. 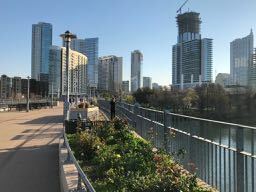 Also, Austin is quite a lovely city. I almost forgot to report on the legendary Texas barbecue, mentioned in the first post. I was fortunate to be hosted by my friend and client Patrick, founder of First Stop Health (and before that, HighBeam Research, where I served as General Counsel). 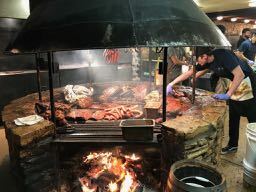 As a result, I had access to insider knowledge of all things Austin, and was thus duly conveyed to the Salt Lick – by reputation, the best barbecue joint in/around Austin. It did not disappoint. The barbecue pit was massive, and what came off of it was amazingly delicious. But be advised if you plan to go there: it’s cash-only.